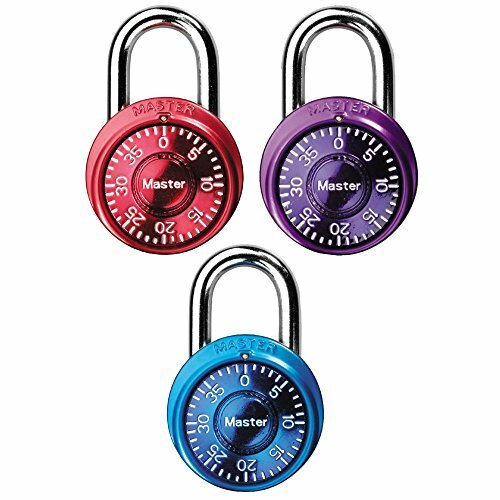 Pack of 3 Master Lock Padlock Color Assortment Pack ONLY $5.99!!! Head on over to Amazon where you can grab this Master Lock Padlock, Mini Dial Combination Lock, 1-9/16 in. Wide, Color Assortment Pack, 1533TRI (Pack of 3) for ONLY $5.99 (was $12.73). HURRY though, I’m sure the price won’t last very long.